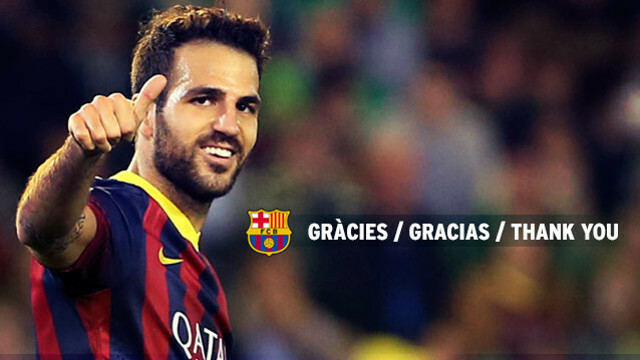 “Firstly I would like to thank everyone at FC Barcelona where I enjoyed 3 wonderful years. It was my childhood club and I will always be proud and honoured that I had a chance to play for such a great team. I do feel that I have unfinished business in the Premier League and now is the right time for my return. Yes, everyone knows that Arsenal had the first option to sign me. They decided not to take this option and therefore it wasn’t meant to be. I wish them well in the future. I considered all the other offers very carefully and I firmly believe that Chelsea is the best choice. They match my footballing ambitions with their hunger and desire to win trophies. They have an amazing squad of players and an incredible manager. I am fully committed to this team and I can’t wait to start playing.